If you have an idea you want to bring to life, you’ll have to convince others it has merit — quickly. In today’s world, the best way of doing that is with video. Hands-down. Video dominates our news feeds. It captivates our attention. Simply put, we love to watch it. I mean, who wouldn’t rather click play? For years, I relied on physical sell sheets to license my ideas for new products. Sell sheets are straightforward, like billboards: On a single sheet of paper, I’d focus on highlighting the major benefit of my idea. I’d also include an image, name, my contact information and “patent pending” in small print if that were true. Sell sheets are still extremely important. But if you really want to connect with your audience, my recommendation is to create a video sell sheet as well. The reality is, there is so much more you can convey about an idea in a one-minute video — and about a minute is really all you have to make an impression. Your marketing materials need to act like a lure, prompting whoever receives them to want to know more. Remember, people are self-interested. They want to know what’s in it for them. They need to be given a reason to care. No one cares about facts — not really. Nor features. Features change. Benefits are what matter. What is truly fantastic about video is that it enables us to demonstrate the benefits of our ideas on an emotional level. Use it to tug at heartstrings. To show just how frustrating the problem your product idea solves really is for consumers. To reveal the joy and satisfaction your solution will bring. Think of your video sell sheet as your mini-movie. To be clear, static marketing materials like sell sheets are still important and always will be because they’re easily shared and absorbed. And having to limit your pitch to a single page is useful, because it forces you to be concise. But video is powerful. It grabs attention in a way that copy simply does not. Of the licensing deals I help negotiate these days, about 90 percent are secured using a developer’s video sell sheet. Really, it’s a must. The good news is: With a little practice, you can teach yourself how to create your own video sell sheets. Here’s how. 1. Follow the format of “As Seen On TV” infomercials. Present a problem first. Then solve it. It’s that simple. You don’t need to reinvent the wheel. Watch the videos on Allstar Product Group’s website to get a sense of what I mean. If you envision your product idea being sold on television, creating a video sell sheet is a must. Devote approximately 15 seconds of your video to the problem your concept solves. Where’s the pain point? Then focus on the solution, aka your product. How does it solve the aforementioned problem? How will it make their lives better? Why will consumers want to buy it and not a product currently on the market? This is the most important aspect of your video, so make sure it hits home. There’s an endless amount of creative ways you can stage your video to highlight the benefit of your concept. 2. Keep it short — really short. As in, about one minute long. Commercials are short for a reason. Your goal is to convey the benefit of your product idea as quickly as possible. It’s not about you. It’s not even about the features of your idea. You need to make people care. Focus on making an impression, not including as much detail as possible. 3. Use equipment, software you already own. If you own a newer smart phone, that will work. Consider purchasing a microphone — the one on your phone won’t be able to pick up your voice if you’re too far away. (Please note: You can film a great video sell sheet without speaking. More on that in a minute.) Tripods are very inexpensive these days, and will serve you well. Apple products come equipped with iMovie. If you have a PC, use Windows Movie Maker. 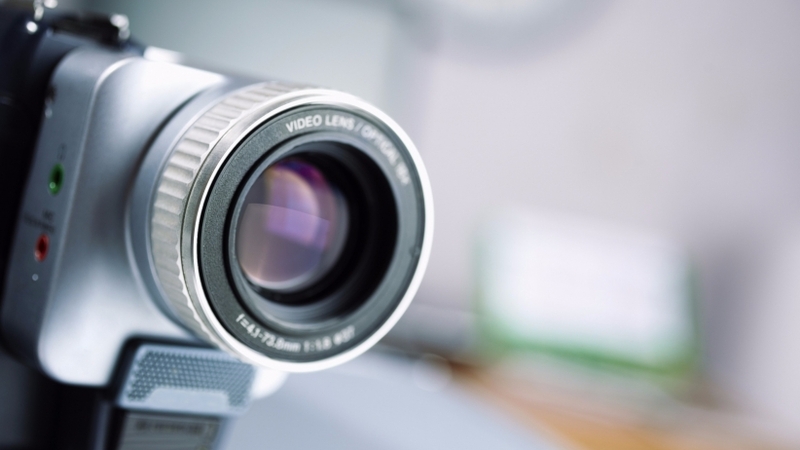 You don’t need to learn the ins and outs of video editing to create an effective video. Watch tutorials on YouTube to become familiar with them. A warning: On your phone, the resolution might not look great. Wait until you’ve uploaded the file to your computer to determine if it’s crisp enough. Try filming in different lighting. Try filming from different angles, including close-up and at a distance. Your goal is to have more than enough content to play around with once you begin editing. Rough prototypes look great on camera, so don’t obsesses about perfecting yours. You’d be amazed what a little editing can do. You’ll save yourself a lot of time if you do. Open your video sell sheet with a title page and end with your contact information. 6. Don’t speak if you don’t like your voice. You’re great in front of the camera? Fantastic! Most people aren’t. No problem. Voiceover specialists on sites like Upwork are extremely affordable. And, shooting without audio gives you a lot of flexibility. For example, you could insert captions explaining what’s going on in each scene instead of relying on a narrator. This method leaves a lot of room for error. If you think you’d like to be in your video, ask your friends and family for their honest opinion about how you come across onscreen. The last thing you want is a distractingly awkward video. Like I said, video sell sheets aren’t a replacement for physical sell sheets. People need something static they can return and refer to. Embed a link to your video sell sheet on your physical sell sheet. Make sure the link is highly visible — why go through all of that effort only to have the receiver not realize there’s a link to a video. If the traditional sell sheet you’ve been using to pitch people on your idea isn’t getting any traction, create a video to include alongside. It may do the trick. I’ve seen it happen time and time again: After creating a video sell sheet, companies came running. It is truly a powerful tool. A final, important note on protection: Before you begin sharing your marketing materials with anyone, file a provisional patent application. Remember, this is a game. Your video sell sheet is a lure, not a tell-all. Show the benefit of your idea in your video sell sheet without disclosing exactly how the product works. That’s important. Then, when you get interest, ask whomever it is to sign a non-disclosure agreement.